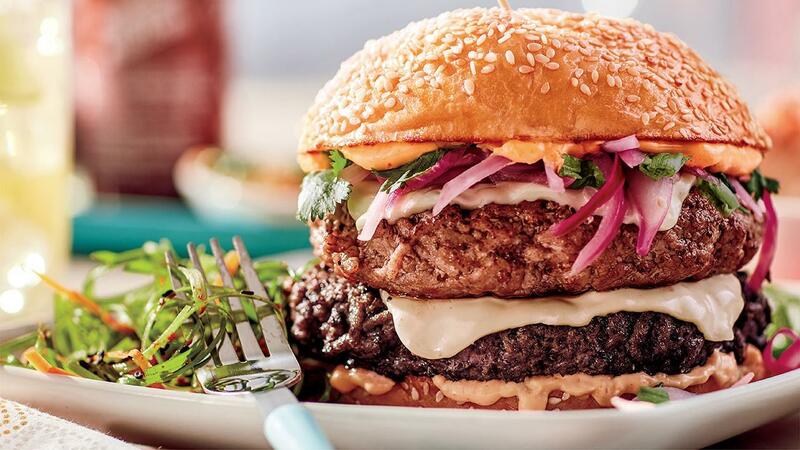 A massive burger that hinges on two meats - lamb and beef patties! Pickled vegetables and spicy Gochujang (chilli) mayonnaise round off this masterpiece. Offer this on your premium burger menu and watch the burger-heads flock! Combine Hellmann's Classic Mayonnaise with chilli paste. Allow to cool at room temperature, strain and chilli.